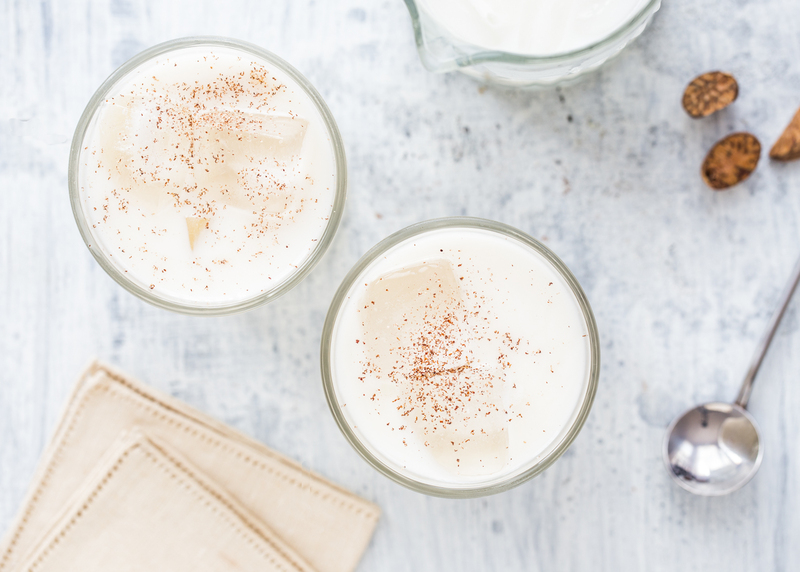 This post, Milk Punch Two Ways, is sponsored on behalf of the National Milk Life Campaign. All options are, as always, my own. Thank you for supporting the partners that help make Jelly Toast possible. According to my calendar, we are over a month into the Fall season. According to the weather outside my door, we are at the beginning stages of Summer. One thing is for sure, weather or not, I am embracing all things Fall but with a few twists to accommodate for these unseasonable warm days. Just like meal time flavors and ingredients, when the seasons change, my cocktail flavors change, too. Seasonal herbs, fruits, and spices begin to shine and call to me to create lovely sipping cocktails. 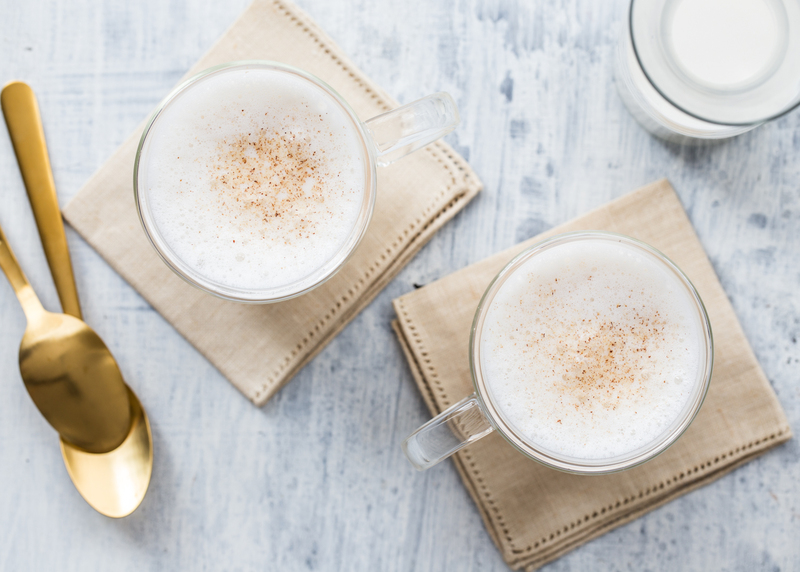 I keep a running list of cocktail ideas on my computer and a reoccurring theme the last few weeks has been to create a warm cocktail with a milky base. In a sense, a spiked milk steamer. I love milk in hot drinks like lattes and in our house, hot chocolate can only be made with milk. 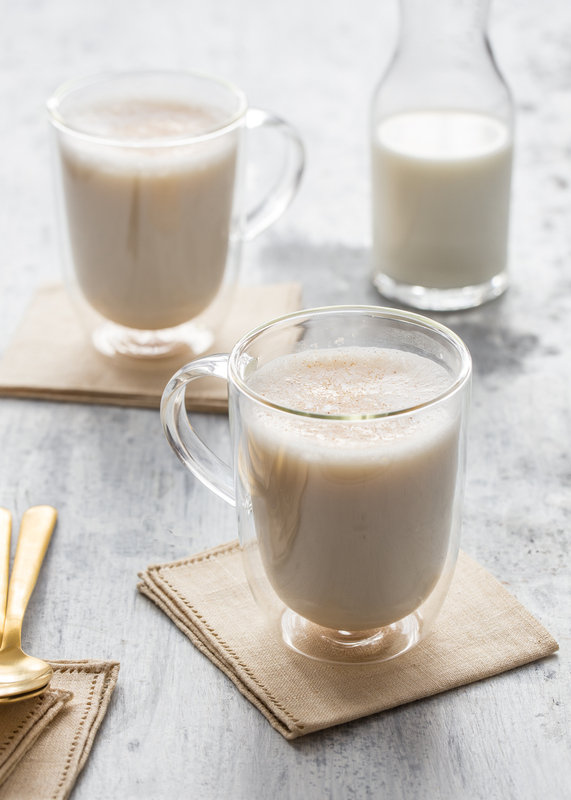 I figured a comforting and cozy warm milk cocktail would be a home run in flavor. 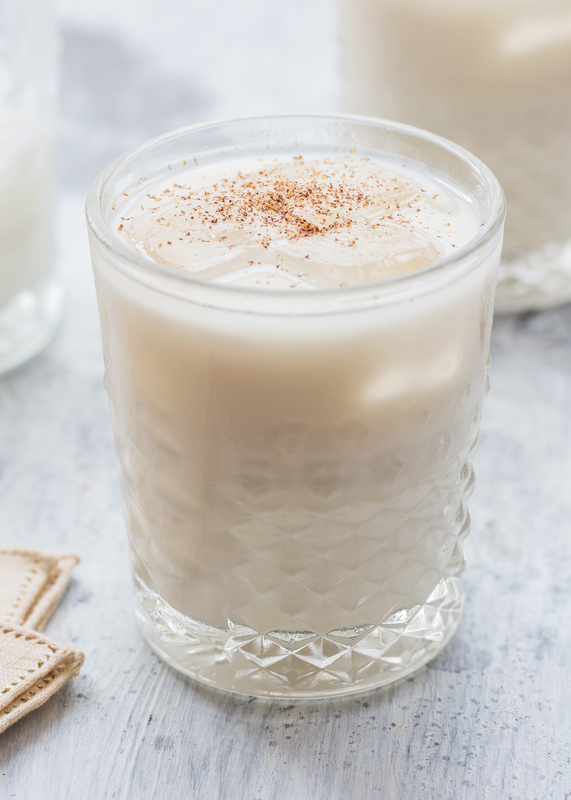 After some light research I decided to tackle my own version of the ever popular milk punch. 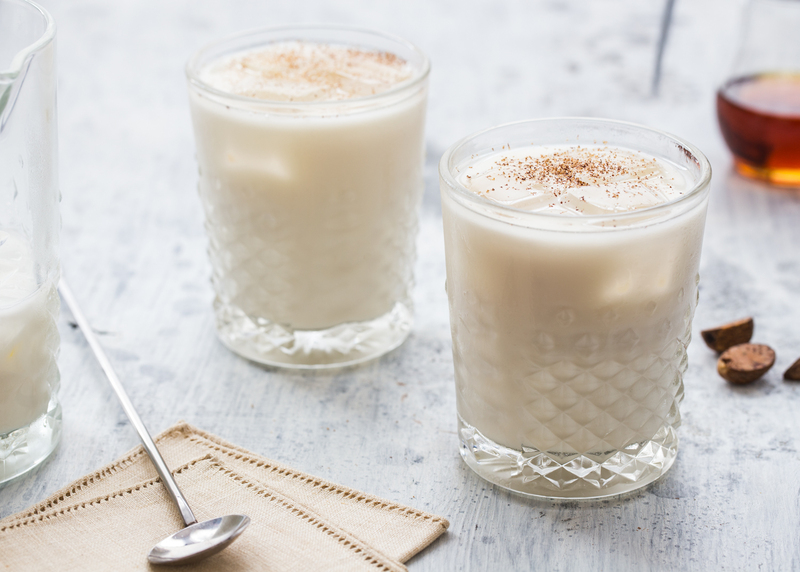 Milk punch is a classic concoction often made with rum, brandy, or bourbon. 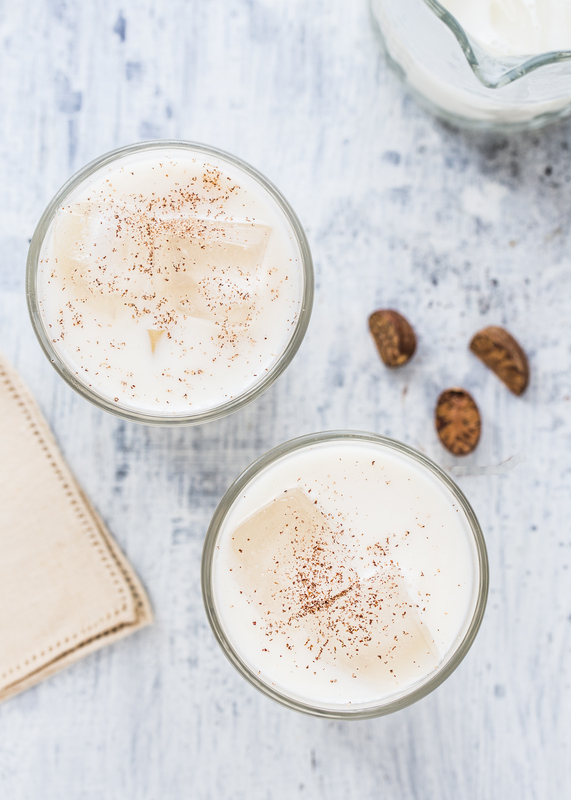 My version combines rich bourbon and white rum for a delicate balance of both flavors. 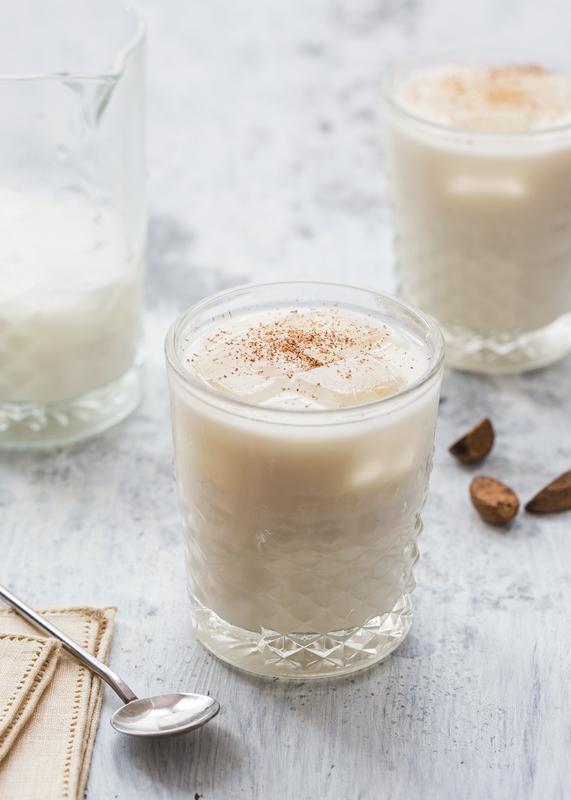 Sweetened with maple syrup and accented with a splash of vanilla extract and dusting of nutmeg, my warm milk punch recipe is a cocktail that you will be turning to for months to come. The only snag in this cocktail plan is that the temperature outside has been bouncing around the 60’s and 70’s for the last few weeks. It’s hard to ignore the warmth outside when planning a cocktail to enjoy. This is why I decided to try serving my milk punch recipe over ice. The method is slightly different, but proportions stay the same. I briskly stirred all of the ingredients in a mixing pitcher and served over ice with a dash of nutmeg on top. I was patting myself on the back at how well the same exact cocktail translated into a cold, refreshing drink but still remained Fall-ish in flavor. 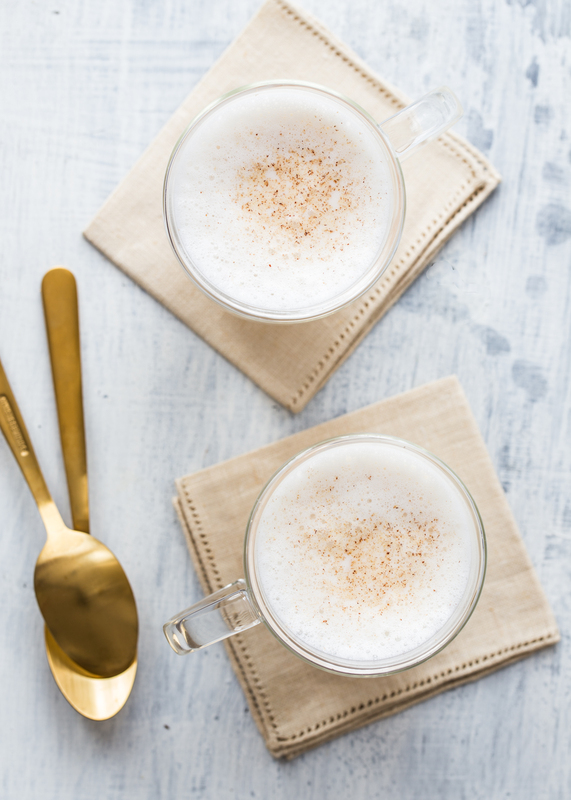 Aside from it’s warming, slightly spiced flavor and it’s various serving options, one of my favorite things about this cocktail is that is made with ingredients that I already had in my cabinets and fridge. 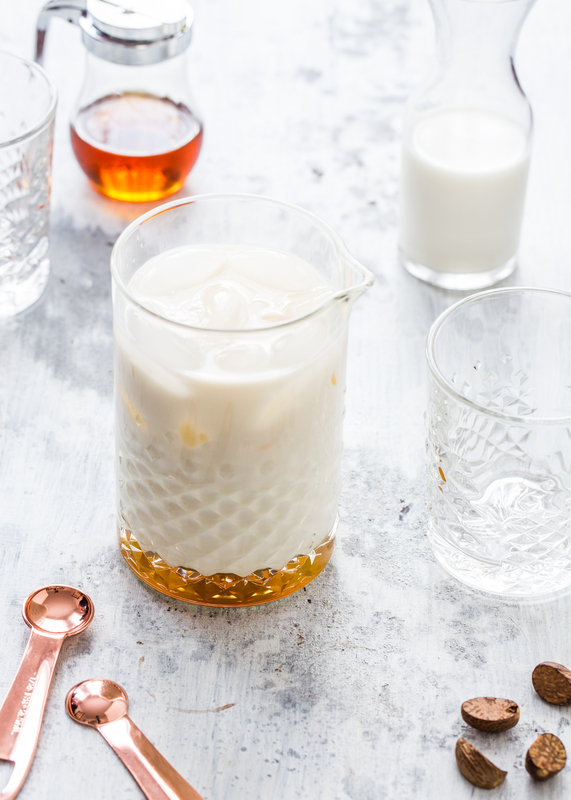 Wholesome ingredients like milk and maple syrup paired with liquor cabinet staples make this a cocktail that can be made any evening, without a last minute trip to the store. We always have milk on hand. It’s a simple ingredient that’s perfect for a simple cocktail recipe. Milk is also one of the original farm-to-table foods. 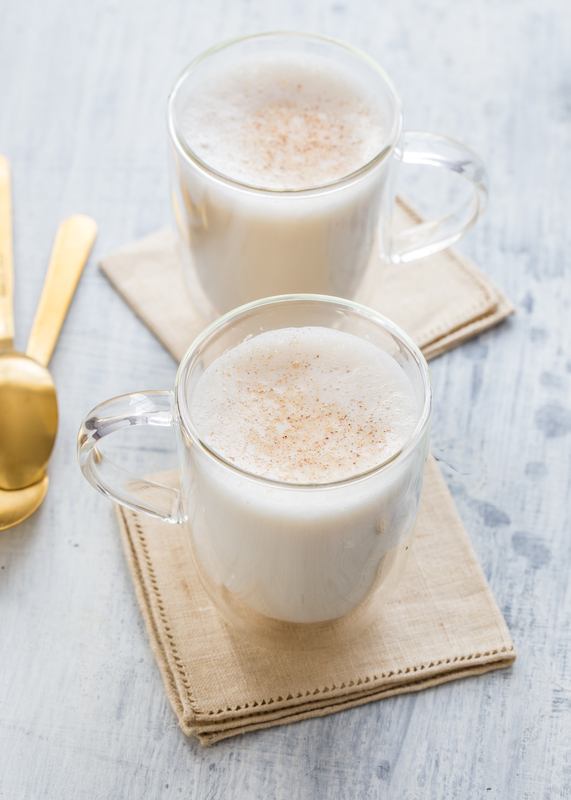 While I made this with reduced-fat milk, whole milk could be substituted for an even silkier, richer cocktail.For now, I will be enjoying the cold version of my milk punch, but I am crossing my fingers that I can soon be warming a pot of milk on the stove for a toasty mug of this spiced milk punch. For more information about Milk visit them on Facebook, Twitter, Instagram, and Pinterest. Pour milk into a small saucepan set over low heat. Heat gently until hot, but not boiling. Remove from heat and whisk briefly until milk is slightly frothy. Pour bourbon, rum, maple syrup, and vanilla extract into a mug. Add hot milk to the mug and top with grated nutmeg. Serve hot and enjoy! Fill a Boston cocktail shaker or mixing pitcher with ice. Add milk, bourbon, rum, maple syrup, and vanilla extract to the cocktail shaker. Stir for 10 seconds or until chilled and cocktail shaker is frosty. Strain into a high ball glass filled with ice cubes. Top with freshly grated nutmeg and serve. Ingredients can be doubled or tripled to make more cocktails.